March 22, 2018 March 29, 2018 Reanna K.
It’s #throwbackthursday! Here’s a highlight reel from 2015 – Ladies Craft Beer Society’s second year. Enjoy! Please note: I don’t have the exact tutorials we used for each of these crafts, just my best guess on similar ones! General instructions: This was so easy, we didn’t have a singular source. Beer theme: Champagne & Guinness, New Year’s/anniversary toast-worthy beer. 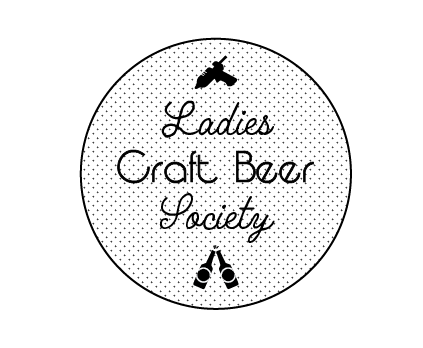 #Ladiescraftbeersociety – card & champagne edition! Only place I'd go after being rear ended. General instructions: I’m not sure which recipe we used and don’t want to credit the wrong recipe, but Google “pickling spices recipe” and go to town! Beer theme: Can’t remember, sorry! Bring your own: Wine cork collection! Speaking of wraps, that’s a wrap on 2015! The March LCBS was a success! Our group attempted to make homemade body wash, and nearly everyone participated in the craft, some people even making more than one kind. We haven’t tried them out yet, so we’ll see if we like the scents/lathering/everything else you judge a body wash by, but it was an easy craft that everyone enjoyed making, so I’d call that a success. Want to make your own homemade body wash? Here’s the recipe we followed. They were inspired by these two websites: Wellness Mama and DIY Natural. Measure out all ingredients and combine in a bottle with a squirt top. We found it easy to use funnels to pour each ingredient into the bottles. Shake the bottles when done to mix it all up! And shake gently before each use. For our beer theme of the month, we did “beers that celebrate womanhood.” It was a fitting theme, chosen thanks to International Women’s Day earlier in the month. AND fitting because we had our first beer sponsor – BrewDog! Satirically dubbed Beer for Girls, Pink IPA is BrewDog’s clarion call to close the gender pay gap in the U.S. and around the world and to expose sexist marketing to women, particularly within the beer industry. BrewDog will be using its most iconic beer, Punk IPA, as a weapon in this fight, packaging it in lurid pink and renaming to Pink IPA – a send-up of the lazy marketing efforts targeting the female market. In the U.S., the brewer will also be serving the beer to those who identify as women for 80 percent of the standard retail cost of Punk IPA, mirroring the gender pay gap in the U.S. With the product being identical to the blue-branded Punk IPA, the brewer intends to trigger questions about why women continue to earn less than their male counterparts and offer them a discount on the beer equivalent to the gender pay gap. … BrewDog will [also] be donating 20 percent (the gender pay gap in the U.S.) of its proceeds from canned Pink IPA and Punk IPA to causes that fight against gender inequality. The ladies loved the Pink IPA and of course, we all loved the charitable contribution associated with it. So a BIG THANK YOU to BrewDog for sending us the beer and supporting women!